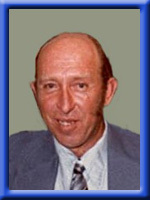 CRAIG – Paul Richard of Liverpool, passed away August 27th, 2010 at home. He was the son of the late Alfred and Doris (Whynot) Craig. Paul loved life and family. He had a great passion for music and guitar. He worked in construction for many years as a backhoe operator. He was a former employee for the Region of Queens Works Department with Maintenance. Paul will be sadly missed by his wife of 31 years Brenda (Adams)(Butler); sons: Danny (Tanya) of Bridgewater; Mike (Brenda) of Pinehurst; Wade (Jenn) of Saskatchewan; Clyde (Theresa) and Richard (Dawn) both of Halifax; Roger (Krista) of Shelburne. Daughter Lynette (Lloyd) Joudrey of Bridgewater. Chrystalee (Kendall) MacLean of New Germany. Patricia (Scott) Mansfield of Caledonia. Cheryl of Halifax. His sister Mary Slauenwhite of Kentville. His brother David (Connie) of Brooklyn. 18 grandchildren, 5 great grandchildren; 4 nieces, 2 nephews and his special friend, Scott Orme, whom he had a special place in his heart. He was predeceased by his son Richard; infant grandsons Chayce and Jarred; brother George. We are so sorry about the death of Paul. When living in the valley he was always a big help to my mother and myself. He was always there when asked for assistance and he was always joking and grinning. I always remembered him coming over on new years eve with his guitar and he played and sang most of the night. I will continue to listen to his music on snipsnap which will always be great memories. Our thoughts and prayers go out to Brenda and the whole family, we will all miss him, may he rest in peace. Hi Brenda, my sincere condolences from a fellow Singsnapper. May you find strength in God and know that He is with you always and loves you dearly. Although I did not know Paul, I have been listening to his music and reading comments and know that he was well loved. God bless you and your family and may you find peace with Him. Dear Brenda and Families, Paul was a very special person to each of us and he will be missed. We will miss his teasing, his great big wave, his song chats with John, his teasing Joel about the Toronto Blue Jays being the best team, his puttering around the yards with Scott and his doorstep chats with me. Those are only a few of the things we will miss. Your families are in our thoughts and we are right here if you need us. Brenda,I am so sorry to hear about Paul,He was a very kind and caring man.I am thinking about you and your family having to go through this terrible time.Take care. Brenda we send you our love and prayers as we share with you the loss of a great man. We are thankful that we will be able to spend many hours in the future with Paul through the great legacy that he has left in his many recordings on sing snap. It remains a regret that we did not meet with you and Paul before the Lord so suddenly called him home. I look forward to meeting him by the river under the tree of life when the Lord calls me home to glory. Lord willing I will be at the memorial service on Thursday. May God be your comfort and strength. Love from your friends forever…Ed and Marlene. Brenda we was so sorry to hear of Pauls passing ..Our thoughts and prayers are with you and your family at this sad and difficult time ..God has called another angel home ..take care . Brenda, and family, I am so very sorry for your loss, my sympathy’s to you all. I am so sorry to hear of Paul’s passing, my thoughts and prayers are with you all. Brenda & family,i am so sorry to hear of Paul’s passing. He is in the arms of the Lord now & pain free. You & the family will be in my thoughts & prayers. Sorry to hear about Paul’s passing. Condolences and thoughts to the family. We was so sorry to hear of Pauls passing. My Sincere Condolences goes to you all. So sad to hear of Pauls passing. God Bless. My heart is with you. I wish to extend my Sincere Condolences to you all. I am so Sorry to hear of Paul’s passing. God Bless. My Heart is with you. Our deepest condolences to all the family of the Late Paul Craig. May God be with you all in your time of need. Very sorry to read of Paul’s passing. I remember him as a very nice person when working at the Municipaity of Queens. Our thoughts and prayers are with you. My heart goes out to you all. I pray that you will feel God’s presence as you grieve for the loss of Paul. Keep all the memories you hold within your hearts closely and may these bring you some comfort. I will be in touch with you soon Brenda. God Bless You All. Sorry to hear about Paul. He was a good man. He will be sadly missed. Best wishes to Paul`s family. Let the memories heal the sorrow.